Whatever the brand name of your automobile, getting from stage A to stage B is the most basic reason for having an automobile to begin with. However if your engine isn’t operating as it should, your vehicle isn’t getting you really far. Without a properly working engine, your vehicle can’t get you where you need to go. Car engine repair is just one of those repairs that simply can’t wait around. 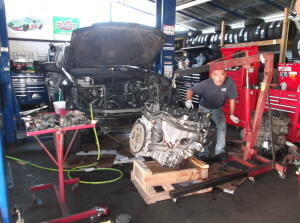 Finding high quality and reasonably priced engine repair in San Diego can be difficult. Fixing your engine is a big job which means you have to find a shop that you can trust. Advantec Auto Repair will make sure your engine repair is done right and we’ll get your car back on the road as soon as possible.